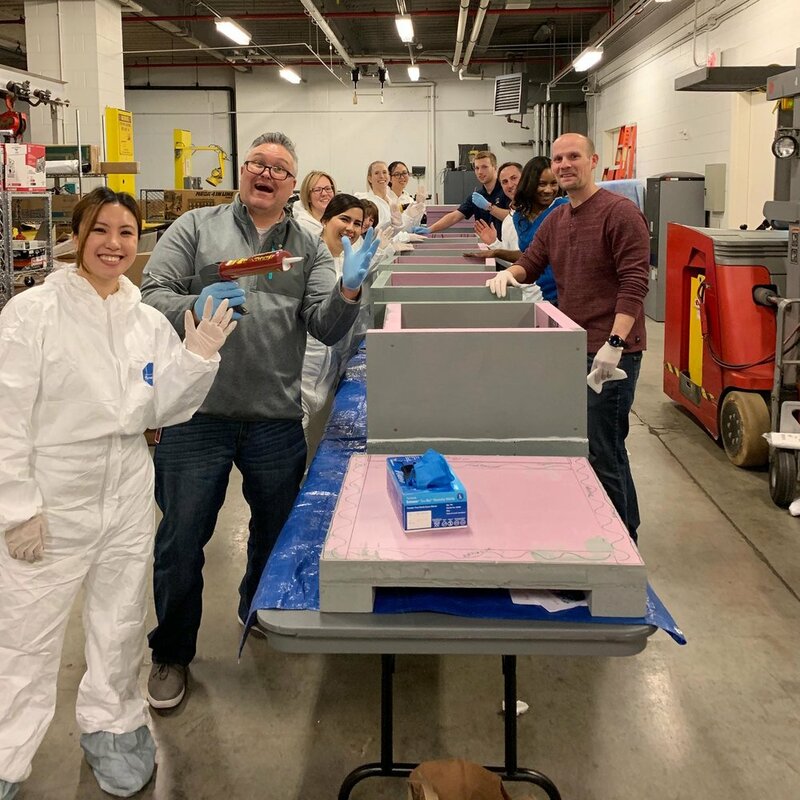 On January 9, 2018 our friends at Grainger, located in Lake Forest, held a shelter build on behalf of Spay and Stay. This awesome group of people were able to provide us with 10 new shelters to help our feral cats located throughout Lake County. Huge thanks to the Grainger team for donating their time to our cause. Harper with her two kittens, Ace and Twigs. 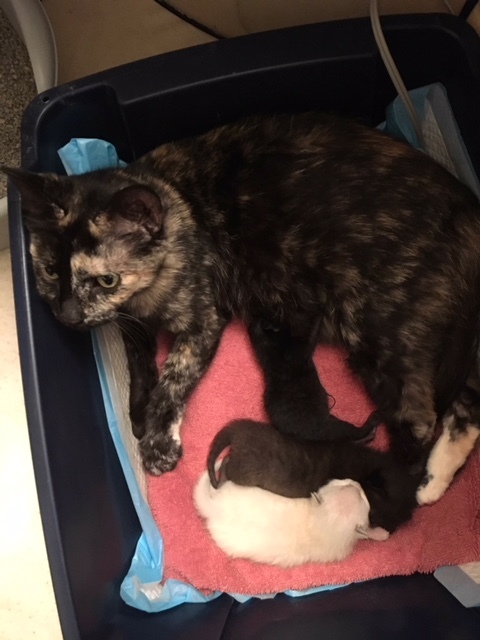 This past summer, Spay and Stay received a called from a resident of Beach Mobile Trailer Park about a recently discovered new momma cat and her two newborn kittens. Spay and Stay’s multi-tasking Trapper, Foster, Volunteer and Board member, Janet, headed out to the Trailer Park to locate the animals to see how she could help. It took some work to remove the dead leaves and twigs that concealed their location, but Janet found two day old kittens in a discarded Ace Hardware lawn bag next to a trailer. Inside the bag was one beautiful all white kitten and its all black sibling, which were quickly named Ace and Twigs. While Janet was discovering the kittens, the mother cat could be seen across the street nervously watching Janet discover her new babies. With luck on her side, she was able to coax the momma cat into a playpen with some much needed food. Our wonderful Volunteer was able to bring this tiny, precious family to her home safely. Janet reported that momma cat, who is now affectionately known as Harper, turned out to be the most attentive mom that Janet has ever encountered. This loving cat even cared and nursed another motherless kitten that Janet had also recently rescued. Harper spent her time caring for her babies, safe and secure until all were able to be spayed/neutered and finally adopted. 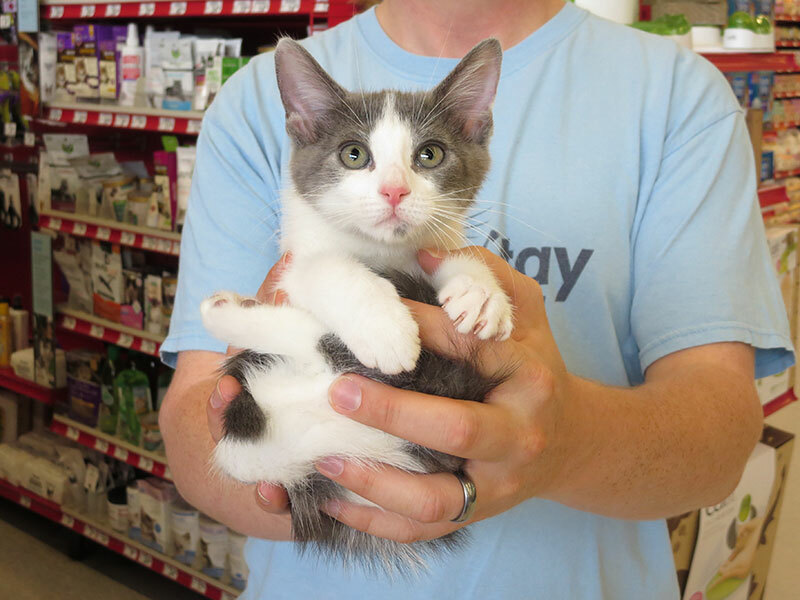 With funding and donations from our generous supporters and grantors, Spay and Stay continues the good work of locating cats in need in our community, and when possible, finding forever homes for these magnificent creatures. Please consider making a donation so that we can continue making happy endings for our feline friends. In May 2017, the Spay & Stay office received a call about a mama with 6 kittens living in an abandoned car. Two volunteers arrived and found the car covered in a plastic sheet. Peeking under the plastic, they saw a calico mama nursing her 6 beautiful kittens in the back seat. While one volunteer was able to collect the kittens, it took a team effort to get the mama out. With one volunteer leaning into the car with her feet dangling off the ground and the other holding her belt for support, she was able to get the frightened mother cat out as well. The family was taken to a foster home and thrived. Shelby, Cooper, Royce, Porsche, Maserati, and Ferrari are all now adopted into loving homes. You can see more adoptable cats and kittens on Spay and Stay's Petfinder listing. Ferrari at an adoption event.